A RECENLTY BUILT DETACHED HOME with 10 year builders warranty, fabulously located in a quiet residential road within close proximity of both Sutton & Carshalton, reputable schools to include St Philomenas, Sutton Grammar and Barrow Hedges and a choice of stations for commuting. 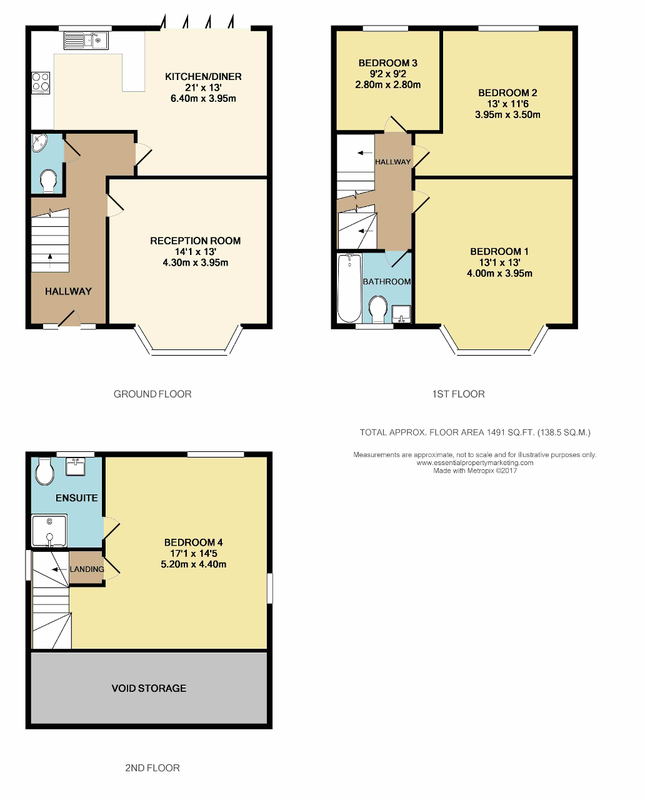 Spacious Lounge, Open Plan Kitchen/Diner/Family room with bi-fold doors to rear garden, Cloakroom. EXTERNALLY: The property is turfed and well fenced with a large patio area. To the front is a block paved DRIVEWAY with parking for 2 cars. There is gated access from both sides of the property to the rear garden. Kings Lane is located between Sutton and Carshalton both being easily accessible via buses which pass close by. The delightful Carshalton Pond and Parkland is a short distance away providing a wonderful open space in this picturesque conservation area. These details do not constitute any part of an offer or contract. None of the statements outlined in these particulars are to be relied upon as statements or representation of fact and any intended purchaser must satisfy themselves by inspection or otherwise to the correctness of any statements contained in these particulars. The vendor does not make or give and neither shall Hubbard Torlot or any person in their employment, have any authority to make or give any representation or warranty whatsoever in relation to the property. a) No enquiries have been made regarding planning consents or building regulation approval. b) No services or systems have been tested by Hubbard Torlot. c) The structure, boundaries or title of tenure have not been checked and that of your legal representative should be relied upon. We are residential sales and letting agents covering the Sanderstead, Warlingham, Woldingham, Whyteleafe, Caterham, Selsdon, South Croydon and Purley areas.